In this day and age of pollution, toxic chemicals, and even more toxic medicines, many people are finding themselves plagued by chronic illnesses and ailments and are turning back to Nature for the cures she may hold. A true healer has come forward and stood up against the American Medical Association in court, with a list of diseases he can cure including some of the most life altering conditions people suffer from today such as: bipolar disorder, depression, ADHD, Mesothelioma, acid reflux and drug addiction. 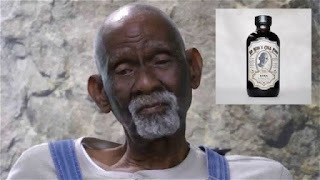 This courageous man, Dr. Sebi is a healer, pathologist, herbalist, biochemist and naturalist, who immigrated from Honduras and who has committed his life to the service of helping people cure their diseases, in essence he teaches his patients how use nature to take care of their bodies.